My New Girlfriend Is Lebanese — Do I Tell My Parents? I’m a college student about to finish my junior year. Six weeks ago I met a Lebanese girl and I fell in love. She was born in Lebanon, and moved here when she was five. Her family is Muslim, though not too observant and pretty Western overall. I’m only 21, so I have no idea if she is going to be the girl I marry, but I do really like her. I haven’t told my parents about her yet, but am now contemplating it. 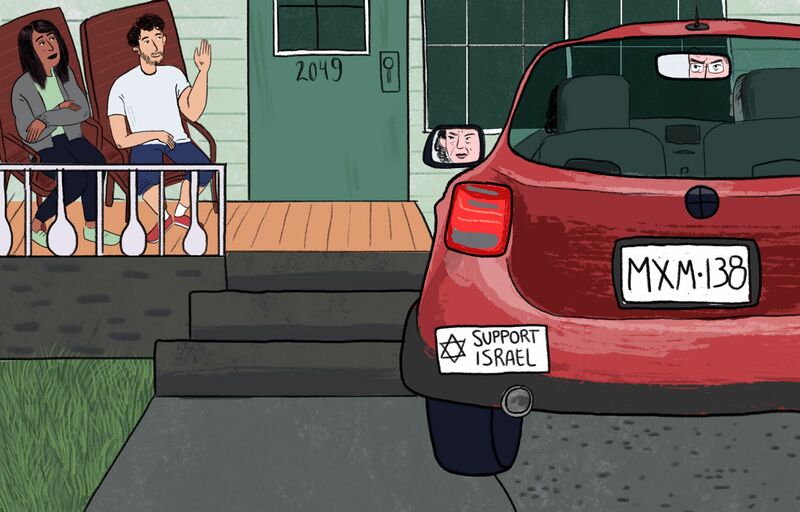 My family isn’t too observant or anything, but they are very pro-Israel and have some of the anti-Muslim, xenophobic tendencies held by some Zionists. I, on the other hand, am very critical of Israel and am an outspoken advocate against the settlements and more. As such, I am debating whether to introduce her, or even mention her, at all this summer. We are both doing internships away from our families in New York City, so they will have no idea unless I say something or get everyone together when they come visit. On one hand I think there is no point in telling them right now, but on the other hand I think it might help them understand that there are real people on the other side. Still, I hate the idea of my relationship getting pulled into politics like that. So, better to lie by omission or tell the truth and have this turn into another ugly debate about loyalty to our people? Six weeks is a very young relationship. Why don’t you give it the summer to see how your feelings unfold? As an emerging adult, you do not need to share every detail of your love life with your parents. Right now, you need private time and space to get to know each other, before you have to start defending your relationship to the outside world. If your love persists to Labor Day, it might be time to move ahead and include your families. I would also suggest that the two of you take this time to educate yourselves more deeply about both of your religions. With her Muslim family and friends, each of you will be called on to explain both Judaism and Zionism. And with your Jewish family and friends, you’ll be called on to explain Islam. For a primer on Islam, you could start with Reza Aslan’s very readable No god but God. And while in New York, spending time together at the Museum of Jewish Heritage will spark contemplation and discussion. You are not the first Jewish and Muslim couple, even if it may feel that way sometimes. Check out the #JewsAndArabsRefuseToBeEnemies hashtag from last summer, when many Jewish and Muslim interfaith families were posting family photos on twitter. These couples live in a complex reality, rather than some utopian love bubble. The best tools for defending your relationship to the outside world are going to be religious and historical literacy, and the solidarity you develop as a couple.